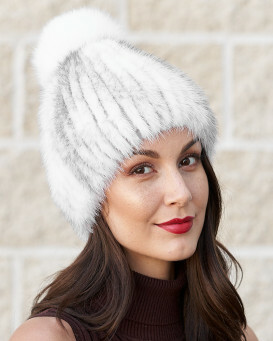 The Grey Snowflake Sparkle Beanie with Finn Raccoon Pom Pom for women will get you in the wintry spirit. The shell is double lined with a wool blend including nylon and viscose materials. Large dyed Finn Raccoon pom pom is detachable to change up your look. A one size fits all effect makes this cap suitable for women of all ages and sizes. A fashionable snowflake pattern features jeweled accents to jazz up your ensemble. 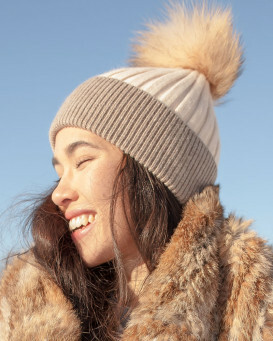 Wear this hat with or without the pom pom for two looks in one you'll absolutely love.